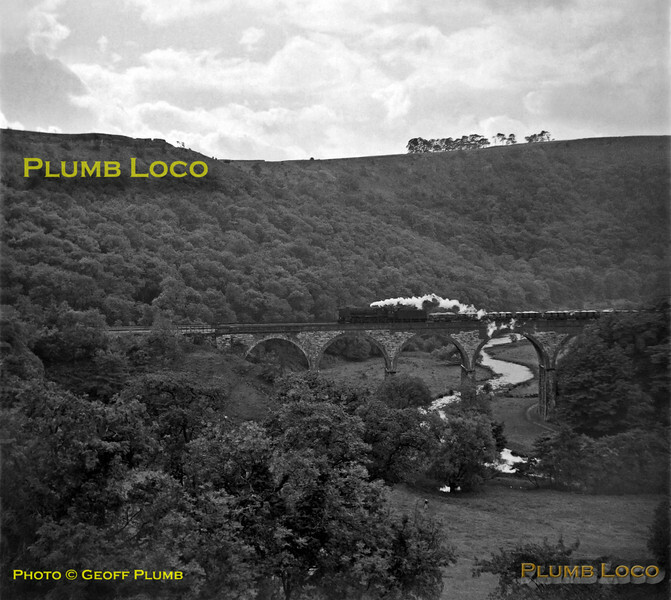 An unidentified BR Standard 9F 2-10-0 drifts downgrade across Headstone Viaduct over the River Wye in Monsal Dale at the head of a southbound mineral train, on the now long closed Midland main line from Derby to Manchester. Wednesday 15th August 1962. B&W Neg No. 151.